Boston, MA - (February 13, 2019) - Major League Lacrosse (MLL) takes a look into draft prospect and Penn State defender, Chris Sabia. Penn State is a major, public, research-I university serving Pennsylvania and the global community. The Penn State Nittany Lions men's lacrosse team was founded in 1921. The Nittany Lions have competed in the NCAA tournament 4 times. Their current coach is Jeff Tambroni. Preseason active rosters in Major League Lacrosse feature Penn State players such as Austin Kaut (Florida Launch), Ryan Keenan (Ohio Machine) and Nick Aponte (New York Lizards). Sabia is originally from Harleysville, Pennsylvania. He attended The Haverford School before attending Penn State. Sabia has led the team in caused turnovers for the past two seasons and he has started every game of his career. His collegiate accomplishments include: USILA All-America, All-Big Ten, USILA Player of the Year Watch list, Inside Lacrosse Preseason All-America and Inside Lacrosse All-America. Chris Sabia is one of the three captains for the Nittany Lions. Sabia is wearing No. 16 for the 2019 season, having been bestowed the team honor of commemorating late Nittany Lion Connor Darcey with the 16 jersey. Former Penn State midfielder, and Ohio Machine standout, Ryan Keenan, wore the jersey in 2018 and he chose Sabia as the next recipient. 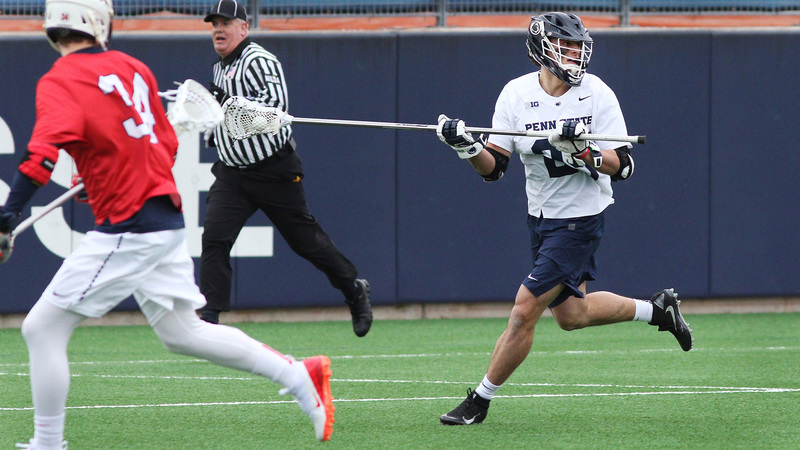 In the first 2 games of Penn State's season, Sabia had 4 caused turnovers and 2 ground balls. Chris Sabia is a strong and consistent defender for the Nittany Lions. Will Bear Davis, the Ohio Machine coach and General Manager draft Sabia to join past-teammate, Connor Darcey on the Machine? Tune into Lax Sports Network on March 9 at 7pm to see if Chris Sabia will be one of the 63 players to be selected in the 2019 MLL Draft presented by Cascade.